When I was a child, we tried our hand at many different animals. We had dogs, cats, bunnies, chickens, pheasants, ducks and we helped to raise both cows and pigs (that were eventually slaughtered). One year, we hatched baby quail. We had a little incubator setup in the dining room and had the amazing experience of watching them hatch. Sadly, when we moved the chicks outside to the chicken coop, it was too cold for them and they perished — huddled together in a corner. It’s funny how certain memories stick with you… I couldn’t have been more than 10 years old when this happened. This memory has popped up from time to time over the years and came flooding back when I saw little quail eggs for sale at Russo’s Market. 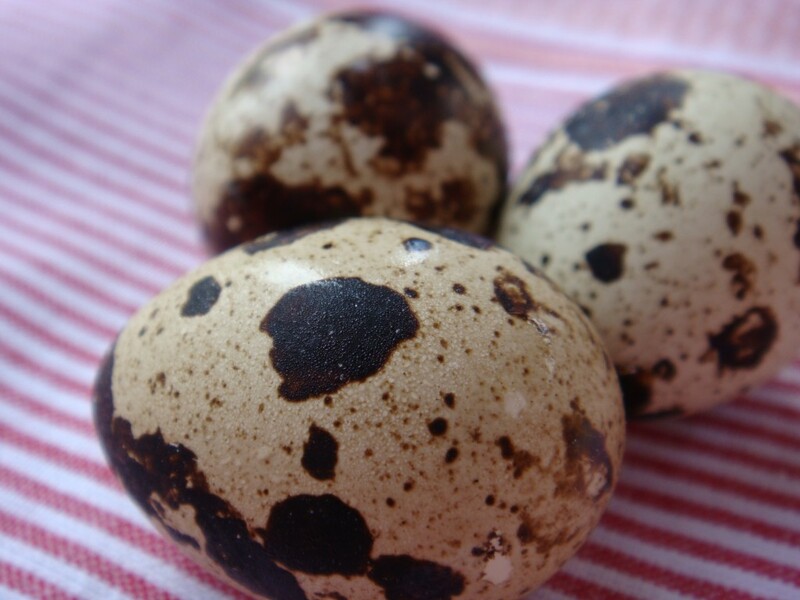 Quail eggs are similar to chicken eggs, except they are much smaller, specked and have a thicker shell. They are edible, but it takes about 5 quail eggs to equal one chicken egg. 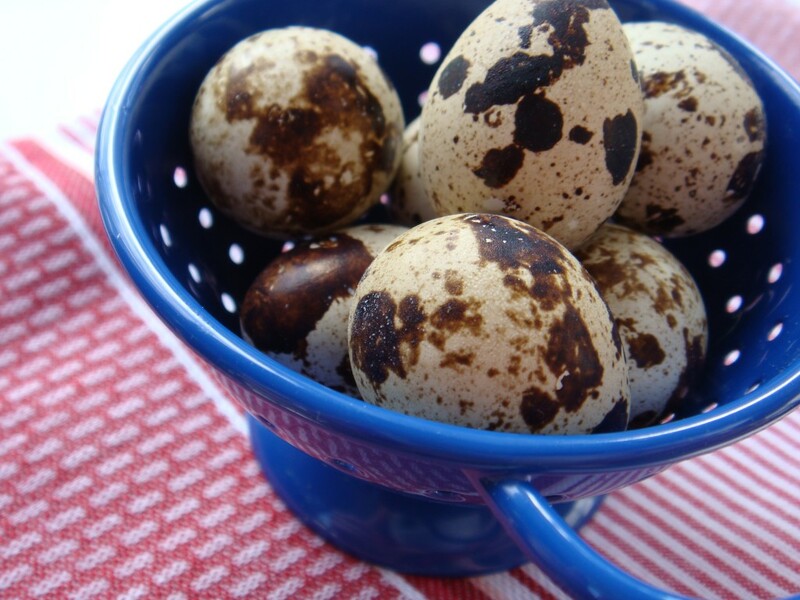 Quail eggs are often used in Japanese cooking, served raw with sushi or on top of other dishes. They make frequent appearances in Japanese bento boxes as well, due to their compact size. Quail eggs can be cooked anyway you cook a chicken egg. You can devil them, poach them, fry them or hard boil them. The idea of a couple of poached quail eggs on top of salad sounds amazing to me. I found this recipe for Poached Quail Egg Salad with Watercress and Tarragon Sauce on the Delia online website. Delia Smith is a famous celebrity chef… she is the UK’s version of Martha Stewart. I’ve mentioned her before because one of her recipes (Bread Sauce) was used in the Tradtional British Christmas Dinner we were privy to this past year. Since I’m addicted to truffles, I think this recipe for Truffled Quail Eggs (courtesy of Epicurious.com) sounds fabulous and simple as well. Lastly, this is an interesting article about a Toronto chef (from June of this year), which includes a recipe that sounds delicious for Soft Boiled Quail Eggs — an adorable canape or amuse bouche, served on it’s own in a soup spoon and topped with microgreens, crispy shallots and bacon with a buerre blanc sauce. I may just need to make this for my next shin dig… it looks amazing!! !